iPhone 5 SIM Card Tray is different from that of iPhone 4S, because iPhone 5 uses nano-SIM Card, which is smaller than iPhone 4S micro-SIM Card. 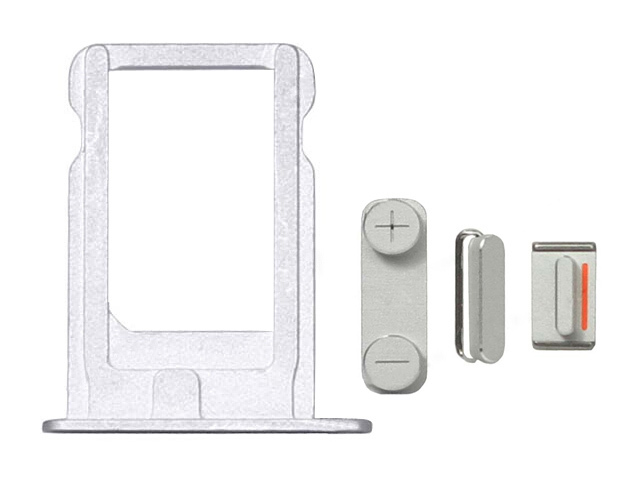 Therefore, the iPhone 5 SIM Card Tray is smaller than the iPhone 4S SIM Card Tray. 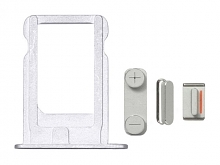 This iPhone 5 SIM Card Tray is a perfect replacement part of the original one and an excellent repair part for your broken, cracked, damaged, lost or dirty SIM card tray. It s easy to remove and install the SIM card tray with a SIM card eject tool by yourself.